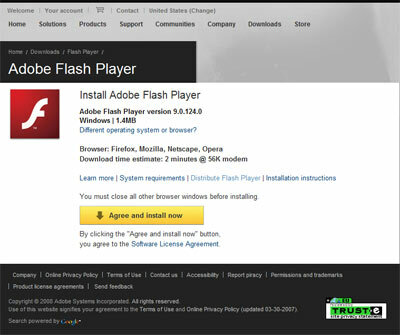 We knew this was coming for some time now and today Adobe finally released the 9.0.124 Flash Player which includes security updates that have an effect on any sites you may have built using AMFPHP, SWX, or any other Flash remoting services. At issue is the crossdomain.xml file -- you'll need to add or update the file to ensure your services continue to function properly. Wade Arnold, a contributor to AMFPHP (which is also included with and used in SWX) has a great write-up on how to fix AMFPHP/SWX including a sample you can download and edit for your domain on his blog. More details about the player, and the newly revamped Flash Player Download Center, can be found on Justin Everett-Church's blog posting about Flash Player 9.0.124. Adobe Developer Center has a helpful write-up about the exact changes made. Lastly, John Dowdell has an informative post with lots of helpful links. Adobe has done a great job with communicating to the community that this change would be coming, and has provided a lot of resources to ensure sites were not affected. Today's information push is just another example of the great communication. Kudos, Flash Player team!